Whether you own an Apple Watch or Android Wear, it may be time to buy a new Volvo. In a press release, the Swedish automaker announced plans to integrate its Volvo On Call app with smartwatches. More details from the press release are below the break. "Volvo On Call is an app that allows you to literally take control over everyday elements in your Volvo. You can set heater timings for those cold and frosty mornings or cool down your car in hot weather, check your fuel level and mileage, or time to next service. It even helps you to locate your car in a crowded parking garage," explains David Holecek, Director Connected Products and Services at Volvo Cars. 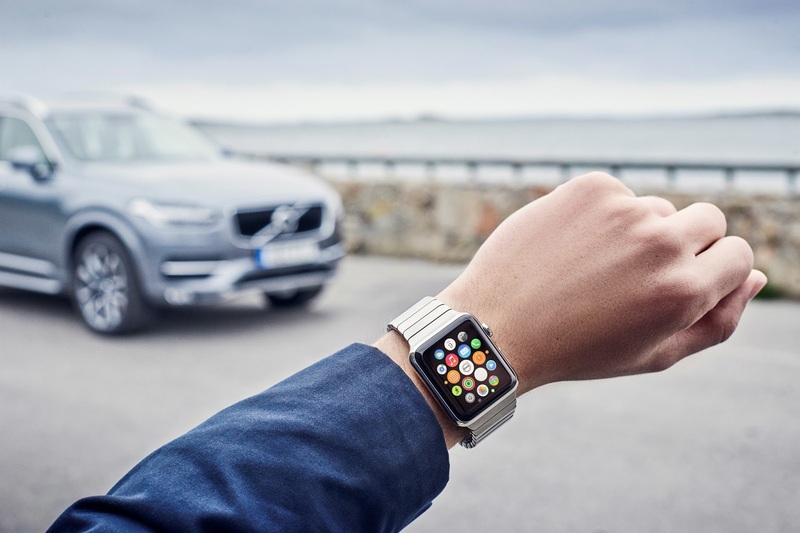 Volvo On Call's new functionality includes wearable connectivity for devices such as the Apple Watch, a full iPad user interface, Android Wear and a unified Windows Phone app with voice control through Cortana, an intelligent assistant system, amongst others. The update, which will also see the addition of enhanced 'send-to-car' capabilities for navigation purposes, is due to be released end of June. Apart from adding new functionality, the Volvo On Call app has received a brand new design based on Volvo Cars' celebrated Sensus driver interface in the new Volvo XC90. Launched in 2001, Volvo On Call became one of the first car-based telematics systems in the world, providing both safety, security and tracking services in the car in case of accident, breakdown or theft using a car-installed SIM card. The system still provides the original safety functions – activated when the car's airbags are deployed, or when the driver needs assistance, putting them in direct contact with a Volvo On Call operator, who, using GPS technology, can direct emergency services to the scene of the incident. In recent years the application's importance and geographic spread has increased exponentially, to include convenience features such as remote locking, fuel level indicators, find my car and remote locking on top of the leading safety and security services that it was originally launched to deliver. "In only a few years we have moved from a safety and security related in-car feature to a solution that allows the driver to stay connected with their car and provides many new benefits to support their everyday requirements," concluded Sofia Wessman, Manager Volvo On Call at Volvo Cars.